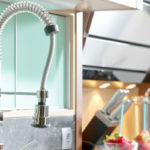 If you have a tight budget but big remodeling dreams you’ll be happy to know there are plenty of ways to score great looking kitchen cabinets on any budget. One of the best ways to transform the look of your kitchen is to install new kitchen cabinets. Easier said than done considering kitchen cabinetry is one of the more costly aspects of any Florida kitchen remodel. Thankfully, we’ve got a few secrets to help you install new kitchen cabinets for less. 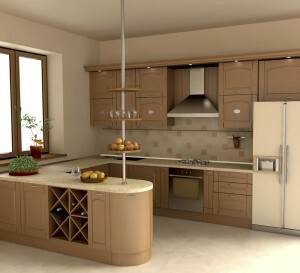 Your number one best bet to save money on kitchen cabinets is always to buy wholesale from Tops Kitchen Cabinet. We can save you thousands of dollars on all of the latest kitchen cabinet styles. When you buy wholesale you skip out on an entire chunk of money that retailers add on to make a healthy commission. People are often surprised to learn how affordable new cabinets are when you go wholesale. 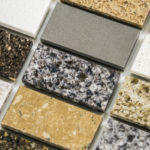 If you have a tight remodeling budget you might want to consider the quality of materials you decide to use. MDF (medium density fiberboard) is a type of particleboard used on all different kinds of affordable furniture. For example, IKEA furniture, highly coveted for its sleek and stylish designs, is all made with this type of wood, hence how they can offer such good deals. When it comes to kitchen cabinets made of MDF you can save a lot of money. MDF is not the same quality as more costly cabinetry but that doesn’t mean it won’t look great. It will wear down at a faster rate, but you will still get a considerable amount of wear and tear out of it. High quality cabinets are just that, regardless of brand name. Brand names might be important in some areas but not when it comes to kitchen cabinets. A name brand is only going to offer you one thing… a higher purchase price. 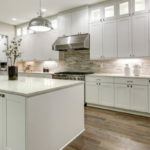 Smaller cabinetry brands want to make you just as happy as big name brands, they just don’t have the high advertising costs attached to their price tag. If you want new cabinets but hardly have room in your budget the last thing you need to do is add on fancy extras that cost an arm and a leg. For instance, a built-in turntable is going to cost you far more than a lazy Susan purchased at your local Walmart. Go with the basics and then add on yourself over time to make your cabinets more personalized to your needs. Hardware is an extra that seems unavoidable but can actually become a fun DIY project. Source your own hardware at garage sales, junkyards, or little trinket stores and have fun making your mark on your kitchen. If you’re not the DIY type, you could save just as much by buying wholesale cabinet hardware from us… just saying! It’s always worth checking in your local paper or on Craigslist, FreeCycle, or other online classified ads for free used cabinets in your area. If someone is doing their own kitchen remodel they have to pay someone to dispose of old cabinets. In an effort to eliminate this cost many will post an add offering the cabinets for very cheap or even free to anyone that comes to get them. Nothing is impossible, not even installing your own kitchen cabinets. If you have never used power tools you might want to shy away from this money saver. 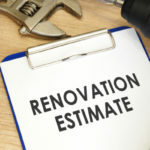 On the other hand, if you are the handy-guy or gal everyone comes to when they need help building/fixing something you might be able to tackle the task, thus saving tons of money on installation. On average, a professional cabinet installer charges around 15-20% of your total cabinet’s cost for installation. Before you run out and buy all of the tools you need for the hefty task you should know that it is no easy feat, and you will still need help, as it will be impossible to complete on your own. For one, cabinets are very heavy and cumbersome to move around and hold in place while mounting. At the very least you need 2 people for the task. If you decide to go forth with your own cabinet installation you need to be exact. You need to use levels and stud-finders and measure down to an eighth of an inch every step of the way, otherwise you could install a pretty big mess of cabinets. Contact Tops Kitchen Cabinet today for the latest kitchen cabinet styles at unbeatable prices.